This pumpkin cranberry bread recipe is wonderful for Thanksgiving and Christmas with its lovely festive red cranberries. It’s very easy to make and super impressive as well as delicious. Fresh pumpkin is easy to use if it’s in season. Cook it in the microwave, boil it up in pan or roast it in the oven, then mash it with a fork, or puree it in the blender. If you boil it, don’t overcook it or it will get watery, and make sure you drain it well. Learn more about cooking pumpkin here. If you don’t have fresh, canned pumpkin will do just as well. Just remember to check if your can already has spices in them, so you don’t go overboard. 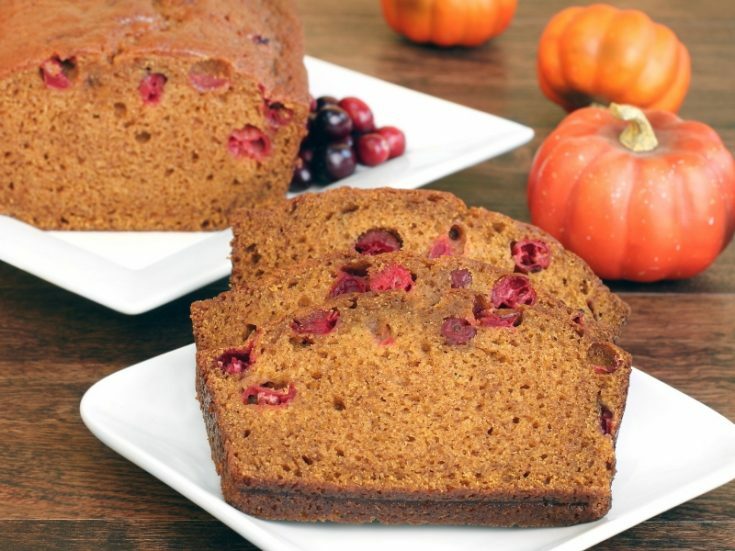 This yummy pumpkin cranberry bread is perfect warm or cold with morning coffee or afternoon tea. Or, treat it as dessert and enjoy it with yogurt or ice cream. Add a sprinkle of cinnamon on the top, or use a homemade cream cheese icing to give it even more yummy-ness. 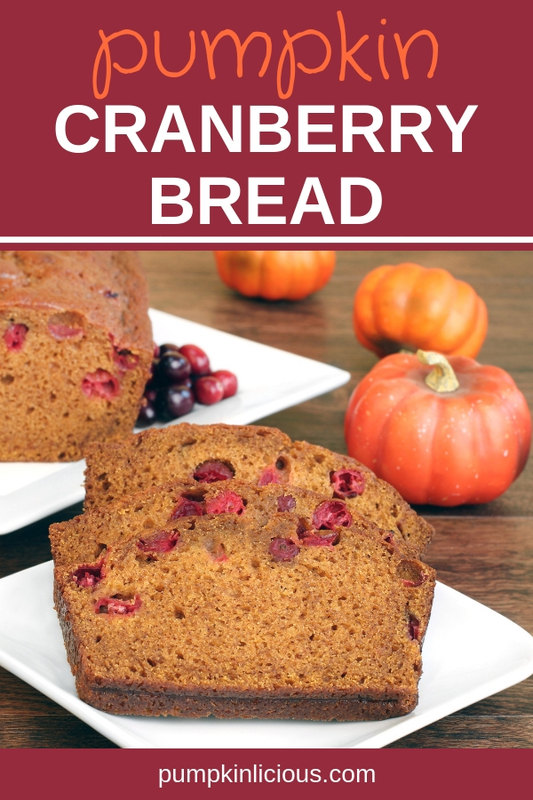 There are so many amazing ways to enjoy this cranberry and pumpkin bread, that you’ll find yourself making it over and over again and never get tired of eating it! Oh, and if you want to experiment, here’s a secret: add some roasted pumpkin seeds to for some crunch in addition to the chewiness of the cranberries. What time of day do you enjoy eating your muffins? Delicious and festive, this cranberry pumpkin bread is perfect for holiday gatherings, or just for yourself on a cold chilly day. 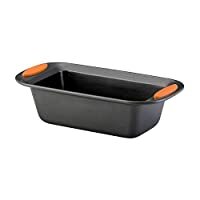 Pre-heat your oven to 180 C or 350F and grease your loaf pan. Mix together all the dry ingredients in a large bowl, adding the orange zest if you like it. Then in a mixer, cream together the butter and sugar. When well mixed, beat in the eggs one at a time, followed by the pumpkin, vanilla extract, and orange juice. With the mixer on slow speed, mix in the dry ingredients. 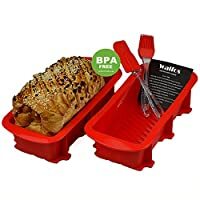 Finally, fold in your deep red cranberries. This loaf will be baked in about 60 minutes. Use a toothpick and see if it comes out clean to ascertain if it's done. It will be a lovely brown color on top. 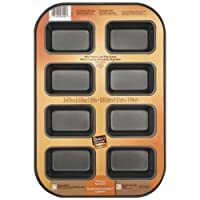 Be prepared with the right loaf for your flavored breads. I like to make some mini loafs that I can gift to family and friends during tough times, or to celebrate accomplishments. So I have a stash of regular sized pans and some mini ones too. You really ought to try and make it with a machine as bread machine pumpkin bread rocks! Best Pumpkin Bread Recipes – a collection of my favorite pumpkin breads altogether! Banana Pumpkin Bread – you can add lots of different fruits to bread and banana already works great with bread and with pumpkin too.